Do you work with substance abuse or know someone who is struggling with using? Learn about the C.R.A.F.T. 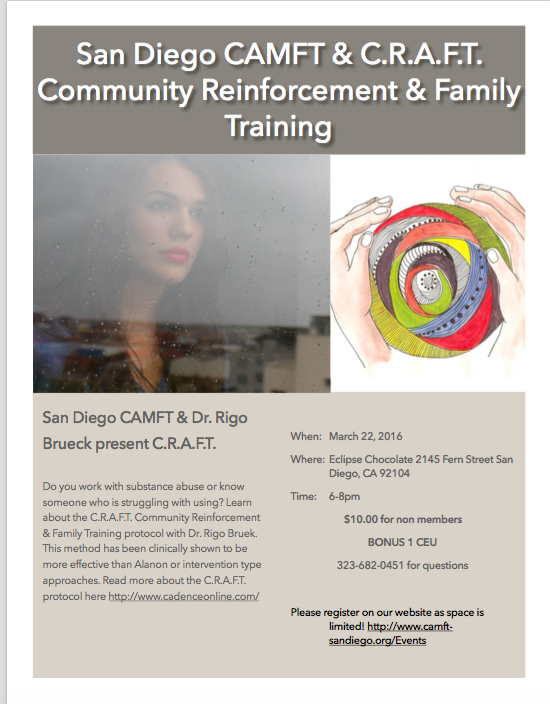 Communicty Reinformcement & Family Training protocol with Dr. Rigo Brueck. This method has been clinically shown to be more effective than alanon or intervention type approaches. We are pleased to highlight our distinguished sponsor and their commitment in supporting our San Diego CAMFT Chapter!